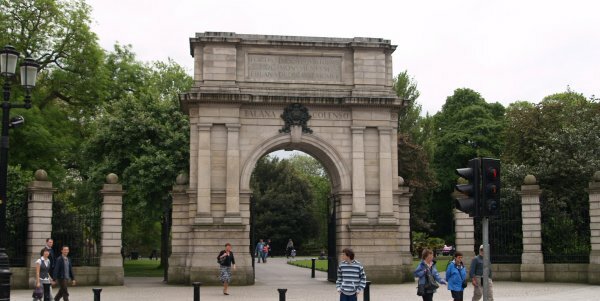 One entrance to St. Stephen's Green of 1663 is through the Dublin Fusiliers Arch of 1904. 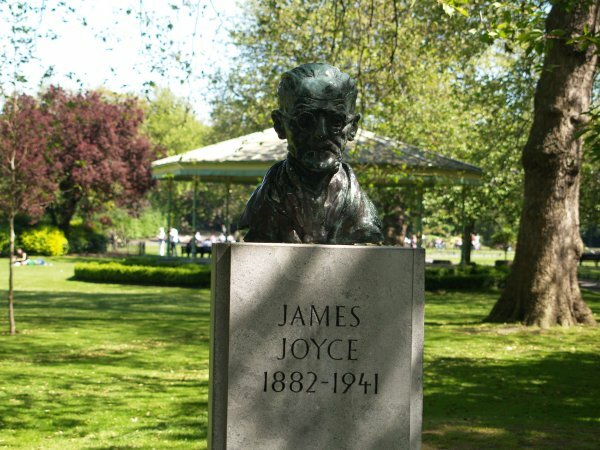 A most quiet and pleasant area to escape the hustle and bustle of Dublin City. 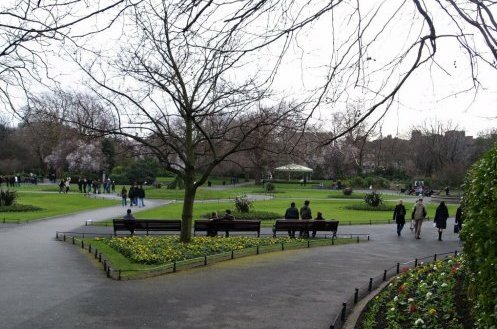 The park at St Stephen's Green on the site of the oldest green in Dublin which dates back to medieval times. 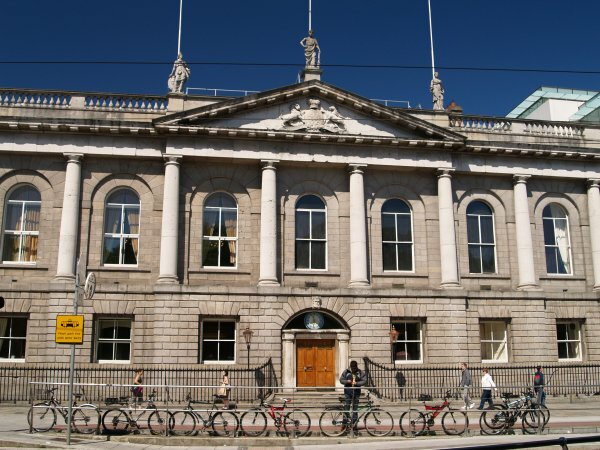 The Royal College of Surgeons, opened in 1810, is on the western side of St Stephen's Green, one of the most striking and handsome buildings in the area. 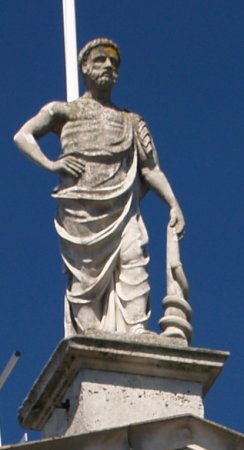 On the top of the facade are three statues of Greek gods (see notes below). 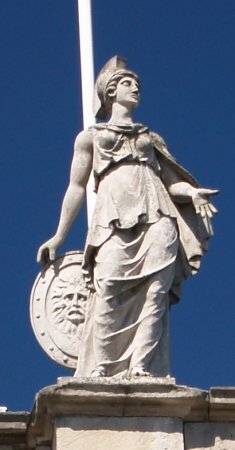 Left: Hygieia - goddess of health; middle: Asclepius, god of medicine and son of Apollo; right: Athena, the goddess of wisdom and patron of the arts. 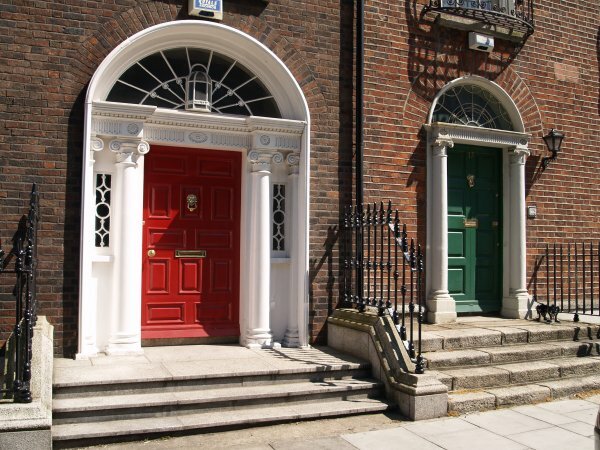 The building played an important role in the 1916 Easter Rising. 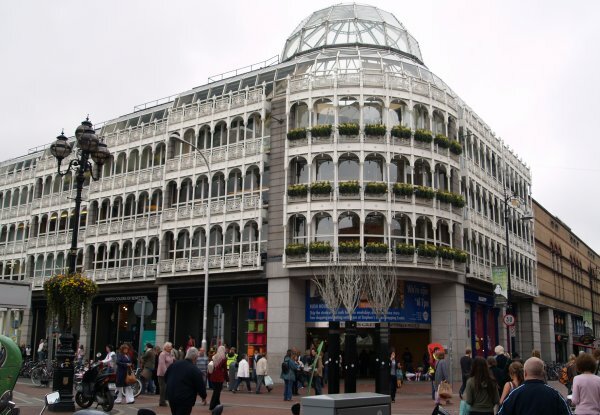 It didn't all happen at the GPO in O'Connell Street! 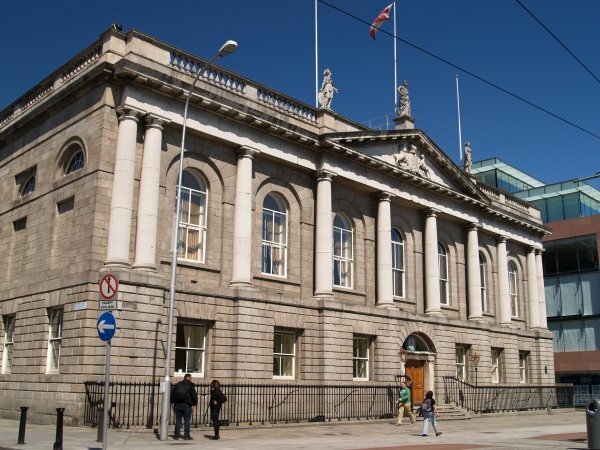 A section of the Irish Citizen Army commanded by Michael Mallin and Countess Constance Markievicz (statue in left picture with her beloved dog) held out in the building of the Royal College of Surgeons until they were the last detachment to surrender to the British Army. 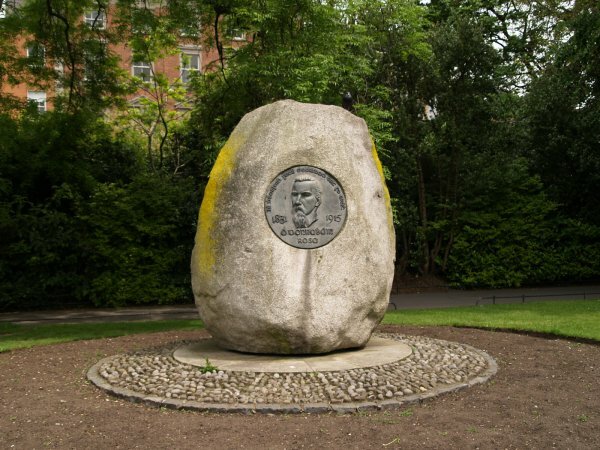 Michael Mallin was later executed but the Countess was spared because of being a woman and her public status. 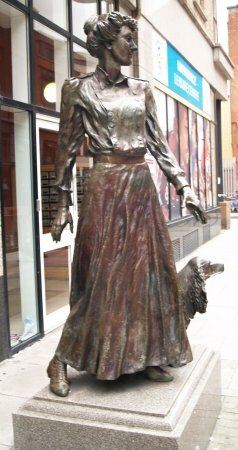 She later became the first woman to be elected as an MP to Westminster Parliament in London. 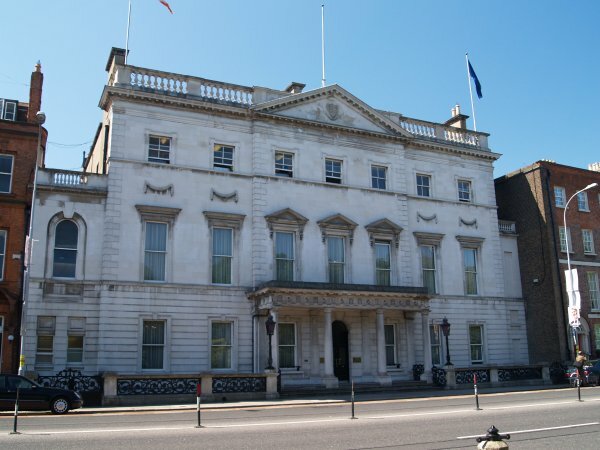 Iveagh House 1736 on the south side of St Stephen's Green. 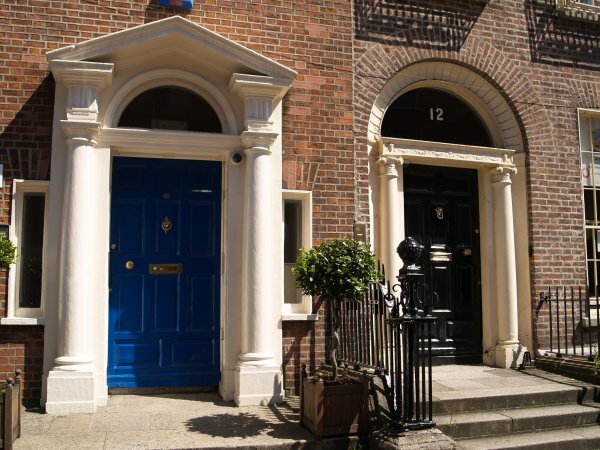 East of St Stephen's Green are the 'Georgian Doors' of numbers 18/17 (above) and numbers 13/12 in Hume Street en route to the Royal Hibernian Academy in Ely Street. 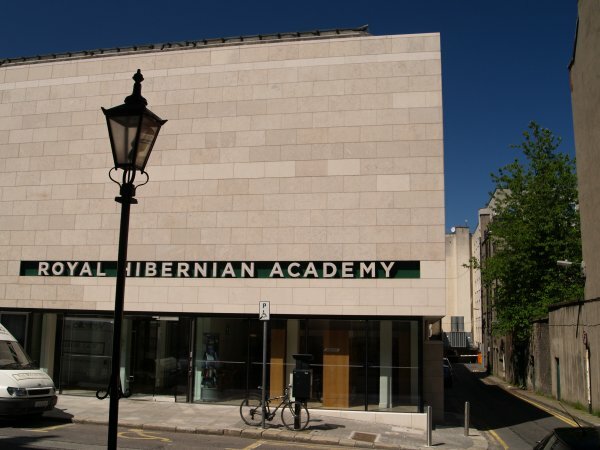 The Royal Hibernian Academy (Gallagher Gallery) is an art gallery well worth visiting and displays mainly relatively modern and contemporary works of art. 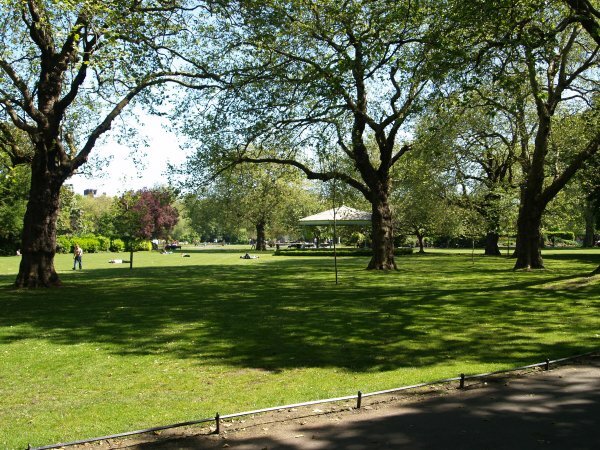 It is to the east of St Stephen's Green in Ely Place. 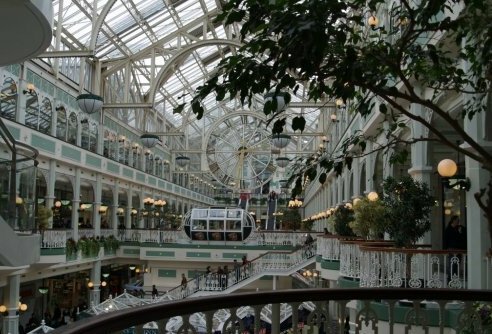 The St Stephen's Green stylish shopping centre. 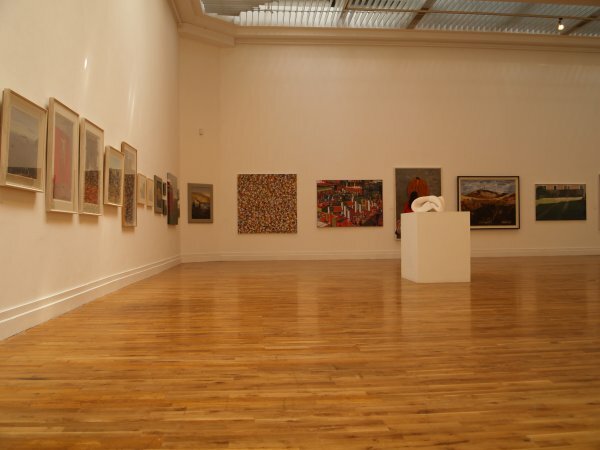 Enter place, museum, street, building, gallery, feature, anything of interest!